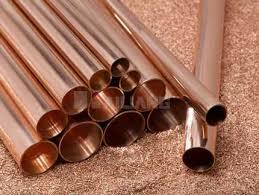 Copper trading range for the day is 314.1-322.5. 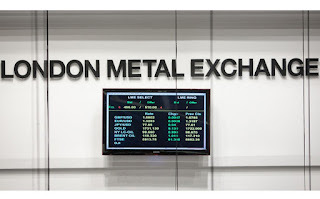 Copper gained as tumble in dollar spurred interest prompted investors shorting the market to close their positions ahead of the Lunar New Year holiday. 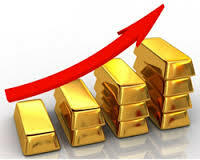 China's copper imports surged by 18 percent in December and reached another record high last year. 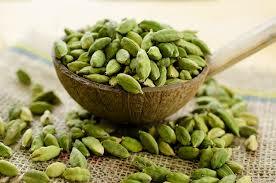 Cardamom prices fell by 1.28 per cent on Friday at the Multi Commodity Exchange (MCX) due to the adequate stocks availability in the physical market on account of higher supply from the producing belts of Chandausi in Uttar Pradesh. Natural gas futures plunged by more than 4 per cent in the domestic market on Thursday as investors and speculators exited positions in the energy commodity tracking weakness in the overseas market as a smaller than expected US inventory drawdown signaled weak demand for the heating fuel in the world’s biggest gas consuming nation. At the MCX, Natural Gas futures for February 2016 contract closed at Rs 133.1 per mmBtu, down by 4.2 per cent, after opening at Rs 138.8, against the previous closing price of Rs 139. It touched an intra-day low of 132.8. The gold price was relatively flat during Asian trading hours on Friday after hitting $1,157.50 per ounce on Wednesday - the highest since October 29 - as the US dollar continued to retreat. Spot gold was last at $1,155-1,155.40 per ounce, down $0.20 from Thursday’s close. Trading ranged at $1,153.20-1,156.50 so far. Gold had pushed above $1,150 buoyed by falling US rate hike expectations and the possibility of additional monetary easing as the US dollar weakened, which saw risk-off investors target bullion, said HSBC on Thursday. The US dollar index fell to a 3.5-month low of 96.26 on Thursday after dovish comments from US policy-makers diminished expectations of US interest rate hikes this year. The index was last at 96.61 on Friday, up 0.02 percent from Thursday’s close. Lead Stocks -975 MT to 185100 MT. 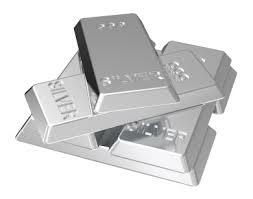 Silver trading range for the day is 34520-36396. Silver rallied marking its best day in two weeks as the dollar slid after investors scaled back expectations for a near-term US interest rate increase. Dollar hit its lowest against the euro since last October and wiped out recent gains against the Japanese yen after soft U.S. services sector data. 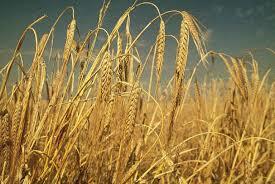 Barley prices closed lower by 0.49 per cent on Wednesday at the National Commodity & Derivatives Exchange Limited (NCDEX) as the investors booked profits at the higher on account of the weak physical markets and also due to the fall in the demand from beer and cattle-feed makers. At the NCDEX, barley futures for April 2016 contract closed at Rs. 1,434 per quintal, down by 0.49 per cent, after opening at Rs. 1,442.5 against the previous closing price of Rs. 1,441. It touched the intra-day low of Rs. 1,432. 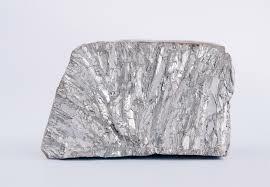 Zinc futures soared by more than 1.7 per cent in the domestic market on Wednesday as investors and speculators booked fresh positions in the industrial metal amidst a pickup in physical demand for Zinc in the domestic spot market. At the MCX, Zinc futures for February 2016 contract closed at Rs 115.4 per kg, up by 1.76 per cent after opening at Rs 114.35, against the previous closing price of Rs 113.4. It touched the intra-day high of Rs 115.75. Gold stayed near a three-month top on Thursday after marking its best day in two weeks as the US dollar slid after investors scaled back expectations for a near-term US interest rate increase. 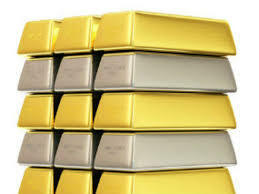 Spot gold was little changed at USD 1,141.01 an ounce by 0040 GMT, after rising as high as USD 1,145.60 on Wednesday, its loftiest since October 30. 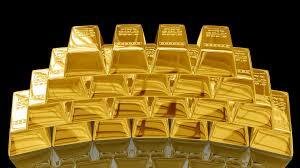 Gold rallied 1.2 percent overnight, the biggest single-day gain since January 20. 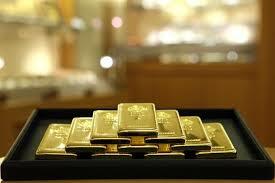 US gold for April delivery was flat at USD 1,141.90 an ounce. 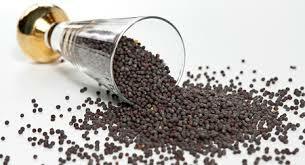 Mustard seed prices closed higher by 0.6 per cent on Tuesday at the National Commodity & Derivatives Exchange Limited (NCDEX) as a result of the decline in the supply for the commodity in the major markets. At the NCDEX, mustard seed futures for April 2016 contract closed at Rs. 3,857 per quintal, up by 0.6 per cent, after opening at Rs. 3,843 against the previous closing price of Rs. 3,834. It touched the intra-day high of Rs. 3,865. Natural Gas futures slipped by more than 6 per cent in the domestic market on Tuesday as investors and speculators exited positions in the energy commodity as forecasts for warmer than average weather in parts of the US through the middle of February dampened the demand prospects for the heating fuel in the world’s biggest gas consumer. 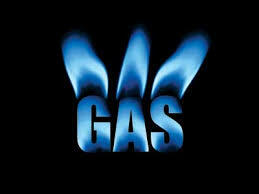 About 49 per cent of US households use natural gas for heating purposes. November to March is the peak US gas heating season. 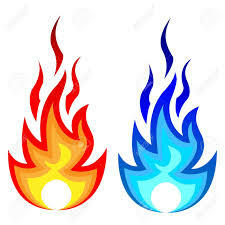 At the MCX, Natural Gas futures for February 2016 contract closed at Rs 136.6 per mmBtu, down by 6.37 per cent. 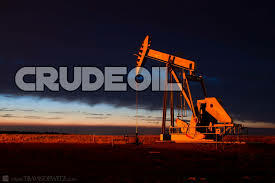 U.S. oil futures extended losses into a third session in early Asian trade on Wednesday as U.S. crude stocks last week surged to more than half a billion barrels, stoking concern over global oversupply. Milder weather forecast for the last eight weeks of the U.S. November-March winter heating season has further dampened demand hopes. The front month contract for West Texas Intermediate (WTI) was down 40 cents at $29.48 at 0035 GMT, after settling down $1.74, or 5.5 percent, in the previous session. CPO trading range for the day is 443.6-453.6. Crude palm oil prices ended with gains on the back of pickup in demand at the spot market. Prices of the palm oil will be supported by supply worries after India's palm oil imports for December month fell. India's Crude palm oil imports slipped 29.24% to 778,815 tons in December compared to 551,058 tons in the same period a month ago. 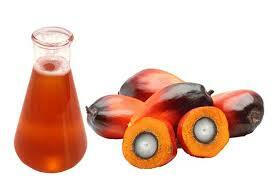 Crude palm oil prices in spot market gained by 9.70 rupees and settled at 442.70 rupees. 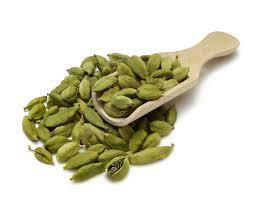 Cardamom prices fell by 0.76 per cent on Tuesday at the Multi Commodity Exchange (MCX) due to the adequate stocks availability in the physical market on account of higher supply from the producing belts of Chandausi in Uttar Pradesh. At MCX, Cardamom futures for February 2016 contract were trading at Rs. 735 per kg, down by 0.76 per cent, after opening at Rs. 740 against the previous closing price of Rs. 740.60. It touched the intra-day low of Rs. 724.20 till the trading. The important markets for cardamom in India are Vandanmendu, Bodinayakanur, Kumily, Thekkady, Kumbum and Pattiveeran Patti in Kerala. Jeera prices closed lower by 1.83 per cent on Monday at the National Commodity & Derivatives Exchange Limited (NCDEX) on account of a surge in the supply from the producing regions in the midst of a decline in the export demand. At the NCDEX, jeera futures for March 2016 contract closed at Rs. 13,150 per quintal, down by 1.83 per cent, after opening at Rs. 13,465 against the previous closing price of Rs. 13,395. It touched the intra-day low of Rs. 13,090. 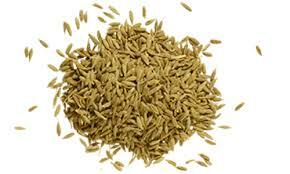 Global output of Jeera is around 2.2 lakh MT per year, of which India produces about 1.5 lakh MT per year. Gold edged to a three-month high on Tuesday as weak global manufacturing activity underscored the challenges for the world economy, pushing investors towards safe-haven assets. Increased volatility in other assets has benefitted gold and it could see more gains as global central banks may be forced into easing monetary policy further this year to spur growth. "Weaker macro numbers out of the US are also increasing the odds that the Fed's December move could have been an outlier, forced onto a central bank that basically had to move after promising to do so for much of the last year,"
Chana prices closed lower by 1.55 per cent on Friday at the National Commodity & Derivatives Exchange Limited (NCDEX) as a result of the steady sowing progress of pulses along with high supplies in major producing states. At the NCDEX, chana futures for April 2016 contract closed at Rs. 4,181 per quintal, down by 1.55 per cent, after opening at Rs. 4,231 against the previous closing price of Rs. 4,247. It touched the intra-day low of Rs. 4,172. The yellow metal was trading with slim gains during noon trade in the domestic market on Monday as dismal China factory data which showed that manufacturing in the country contracted for a sixth month on the trot in January signaled a worsening slowdown in the world’s second biggest economy, bolstering the case for further monetary easing by officials, supporting the lure for Gold, which is a hedge against the inflationary risk of monetary stimulus. The China official manufacturing gauge fell to a three-year low of 49.4 in January, below the neutral mark of 50. At the MCX, Gold futures for February 2016 contract is trading at Rs 26,651 per 10 gram, up by 0.05 per cent after opening at Rs 26,700, against the previous closing price of Rs 26,638. It touched the intra-day high of Rs 26,700. (At 12:24 PM). Natural gas futures surged by more than 4.5 per cent in the domestic market on Friday as investors and speculators booked fresh positions in the energy commodity amidst hopes that cold weather in the US in early to mid- February may bolster the demand for gas-fired heating in the world’s biggest gas consuming nation, continuing to erode storage levels. 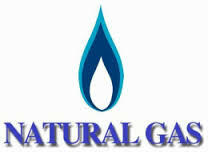 About 49 per cent of US households use natural gas for heating purposes. November to March is the peak US gas heating season US gas stockpiles fell by 211 billion cubic feet to 3.086 trillion cubic feet in the week ended January 22, 2016. Oil prices dropped early on Monday after China and South Korea posted surprisingly weak economic data and on worries the prospect of a coordinated production cut by leading crude exporters seemed remote. Front-month Brent crude was trading at USD 35.54 per barrel at 0157 GMT, down 45 cents, or 1.25 percent, from the last close. 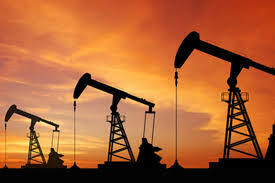 US West Texas Intermediate was down 35 cents at USD 33.27 a barrel. Activity in China's manufacturing sector contracted at its fastest pace in almost three-and-a-half years in January, missing market expectations.